Well, with all these epic builds happening I've been motivated to finally begin planning my dream build. 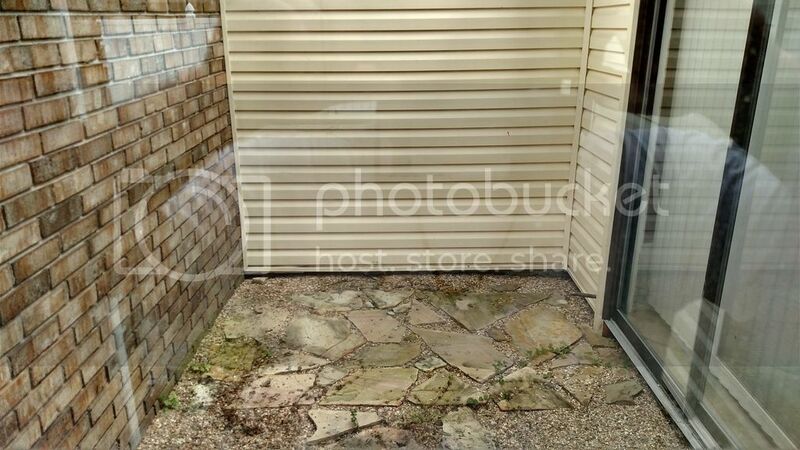 It's been on my mind for the longest time, but havent been motivated to start planning with several other home improvement projects going on including construction of my outdoor kitchen next year. This will take a few years to complete, but I figured I'd go ahead and start a thread, so y'all can help me out along the different stages of planning and then building. 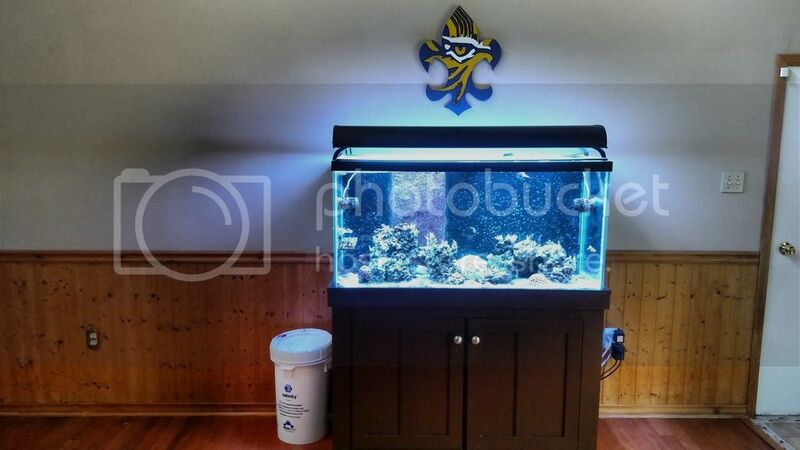 I've decided to go with an 8x2x2 240gallon tank. Not 100% on the manufacturer at this time. 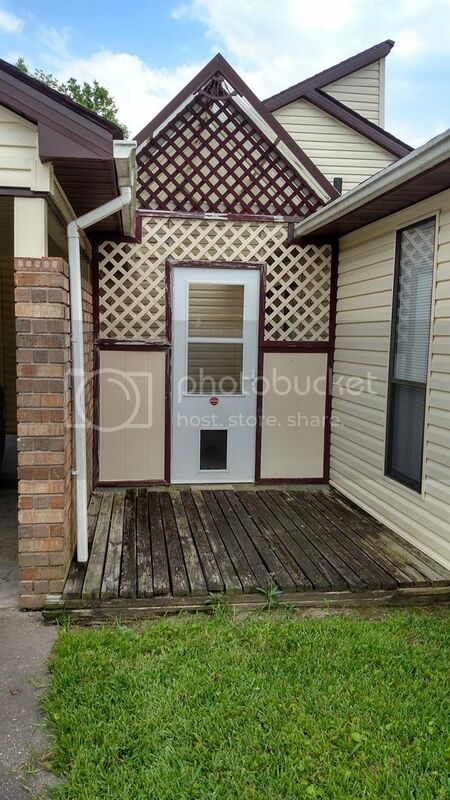 I have a greenhouse/courtyard area between my master bathroom and carport shown below. I'd like to tear it down and properly enclose the space with insulation and electrical. After enclosing the space I'll have approximately 15.5'x7' to build an equipment/sump room. The tank will be in the living room where my 90g is currently, and will be plumbed directly through the wall into the fishroom behind it. Sadly, once the 240 is up and running my 120 will be broken down. The 90g will likely be moved into my fishroom to be used as a separate system for emergencies, or plumb it in with the 240...not sure yet. I think a deeper tank front to back looks a little better, but IMO, it's not really worth the PITA of dealing with the tank on a day to day basis. 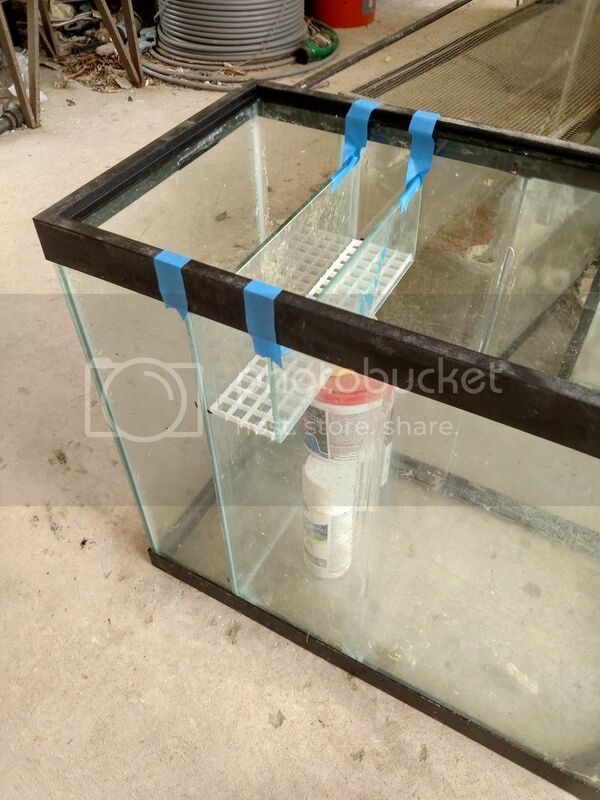 I have the 2X2X8 and use a 60 gallon tank for a sump. I have thought about 30" wide and I agree the little extra depth would be great. I put two pieces of tape on the floor to show the extent of the tank. What you can't see is there is a hallway from the living room to the left. 24" is pushing it...I want to be able to move furniture from the den down the hallway if needed without having to squeeze by the tank and 6" could be the diffence of getting it down the hallway at all. Ken, I could probably get by with a 60g sump, but I want to go bigger. Not only for the extra water volume, but to handle potential back syphon from the display as well as any other frag tanks and such I might plumb into this system in the future. Richard, that would be awesome if I could get one for $50-75. I'll keep an eye out, but if you happen to come across one please let me know. Brand new/unused would be my preference. Thanks for the heads up on the tank sale, but, I'd rather go brand spanking new with this tank. Should be an awesome build! Looking forward to seeing the progress on it. Plans are in motion! Good luck on the build! All the makings of an awesome build. Good luck with it. Build sounds like it is going to be great. Also, those are some nice wood floors!. 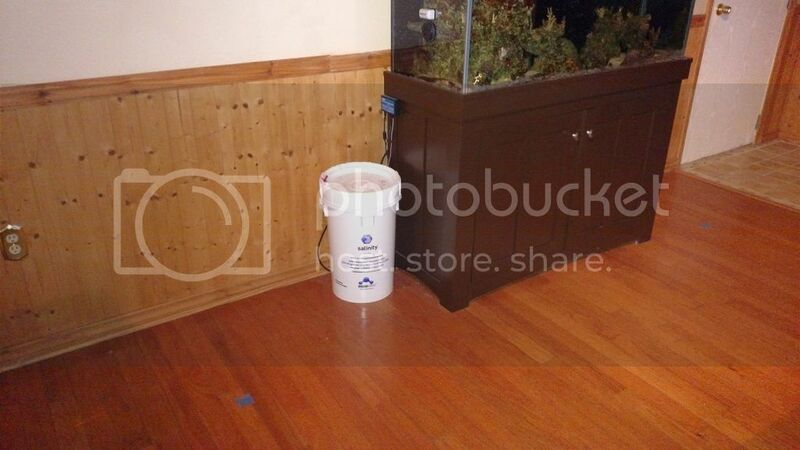 I have always wondered how people with tanks on wood floor don't get water damage. I am constantly getting water on the ground, but my tank is on a tile floor. I have a little water damage on the floor in the corner by my 120g. Got damage from my calcium reactor leaking and the tubing from my aqualifter working its way out of the stupid HOB overflow. I'm putting a couch where the 120 is once its broken down so the damage won't be seen. No floor damage from the 90g system yet. So the damage I've experience has been as a result of equipment. With the 240 all of the equipment will be in the fishroom, which will have water tight flooring and baseboards with a center floor drain. I am really good about not spilling on my floor and if I do its usually nothing more than can be wiped up quickly with a towel. I always keep one handy. One reason I want to break down the 120 is I'm constantly terrified at the thought of the overflow losing syphon and completely ruining my floors. I have come home on many occasions where the tank was about to overflow, but have been extremely lucky to have come home just in time...I'm tired of worrying. I'm going to try my best to setup the 240 so theres no way in hell itll overflow. Wow, life can really slap you in the face when you make plans...However, this build is still on the table. Thanks to the flood I lost everything, but on the bright side I get to start over with a fresh build, and basically a new house (no hardwood floors...😀). If the contractors can actually get back to work on my house daily, now that insurance is no longer holding up the progress, I'm probably looking at another 6-8 weeks until my house is finished. Then, I can start focusing more on this build. I'm still leaning toward a PA 240g (8x2x2). Fragniappe was very motivational for me, but I'm going to resist the urge to set up the 90g again and just focus on saving and planning for this build. I'm thinking I'll DIY my own stand out of 2"x6" and DIY a sump from my old 120. 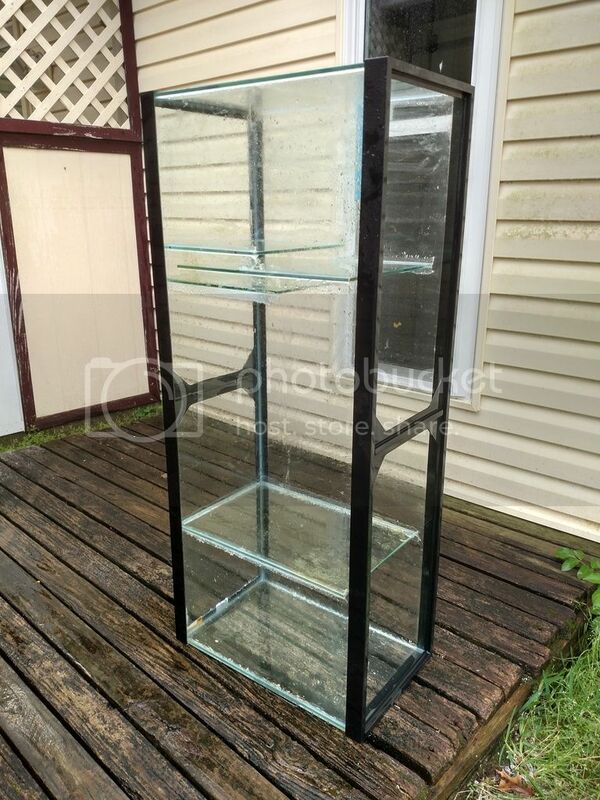 I'll give the DIY stand a facelift with a facade/cabinet doors painted to match the new cabinets in the house with matching hardware for a modern look. No fancy trim work. The DIY 120 sump will be temporary to get the tank running until I can enclose the greenhouse/courtyard area and run the plumbing through the wall to the new fish room. Great to see yall again yesterday! When yall walked off my son was curious and asked who that was... I replied with, "that's the guy who had a bad a** Sps tank with an achilles!!" Told him about how nice your tank was before the crash before the flood. Glad that bug bit you again and hope yall get the house back together soon! Jensen if you guys love wood floors go take a look at the porcelain wood looking tile. I had it in my last house and have over 1200sqft of it in my new house. Its probably a little more expensive than wood but very low maintenence being tile. 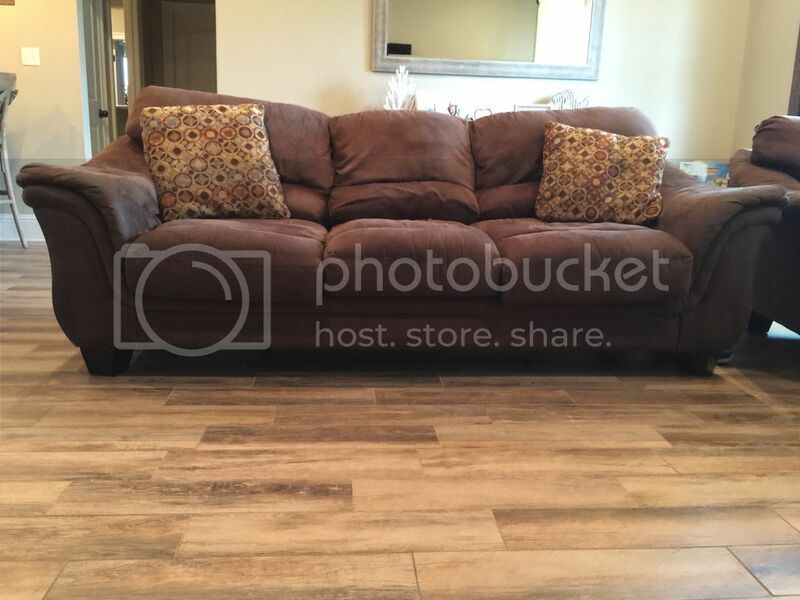 Here is a pic with the old couch we got rid of. Thanks for the compliment Mike! After the flood I told myself I'd never own another reef tank again living in a flood zone because it was just too heartbreaking. Well, I'm an addict, so I'm definitely going forward with this build and hopefully it will be as beautiful as my 120 in its glory days. I'll have a lot of temporary stuff in place like plumbing, sump, equipment, etc... to get the tank going until I get the fish room enclosed and complete, but I feel like this is going to be an epic build for me in the end. Thanks for the recommendation Dave. That's actually exactly what I'm installing. Floor has been ordered and in for a while now, but the house isn't ready for it yet. I went over to the disaster zone (my house) this morning to take a look at the pile of empty aquariums and get ideas of how I might incorporate them in the new build. I hoped to use my old 120 as a sump but the reality is its just too big/tall. To keep from having to build my stand oversized just to temporarily fit the 120 in with room to work I decided to just reuse my 55gallon sump. I made a couple minor modifications to it by moving one panel over to make room for a large skimmer and added a filter/media tray. I had some old glass from a cracked tank @Will_D had and a glass cutter, so the minor modification went smoothly.